Endalweni, the isiXhosa word for “Creation” offers guests an Eden-like paradise where the mind, soul and body can find sanctuary, revitalization and relaxation. 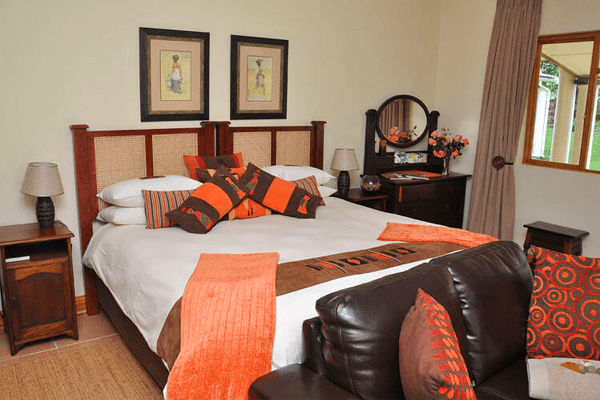 Situated on the historical Great Kei River, Endalweni enjoys magnificent and expansive views of the stunning landscape and river, stretching to the Indian Ocean. 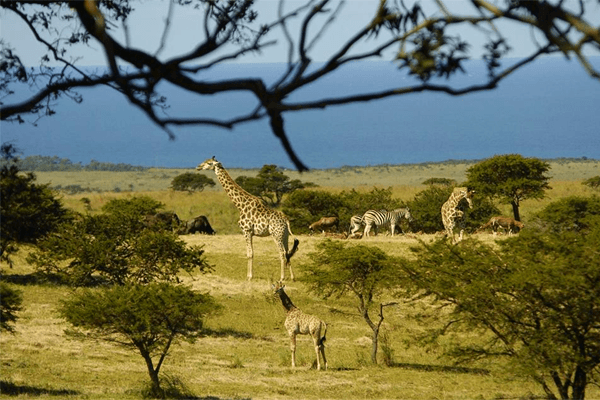 The variety of fauna and flora within the surrounding untouched bushveld includes prehistoric cycads, rich birdlife, and wild grazing animals. 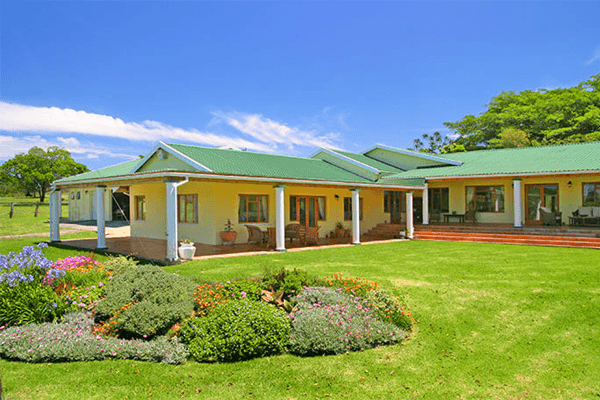 Nestled amongst shady trees is the charmingly appointed and spacious Country House. 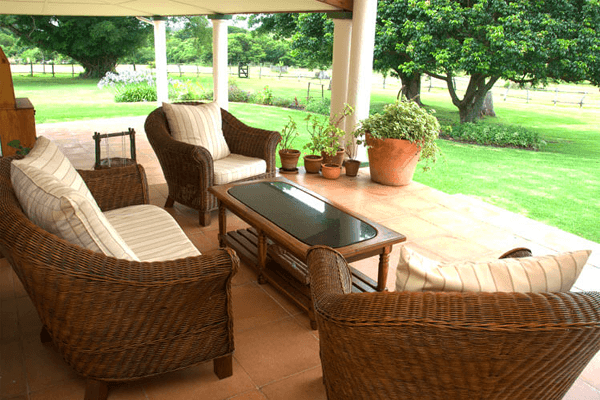 From its verandas and windows one can capture endless images of the abundant wildlife, calm in their environment, for everlasting memories.The four star Country House offers two suites, two double rooms, as well as the choice of two ample sitting rooms or the large verandas on which to unwind in tranquility. 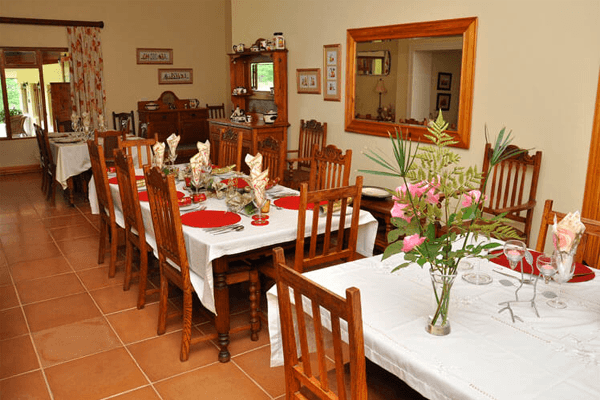 The lovely dining room can accommodate up to 18 guests for that special lunch or dinner. 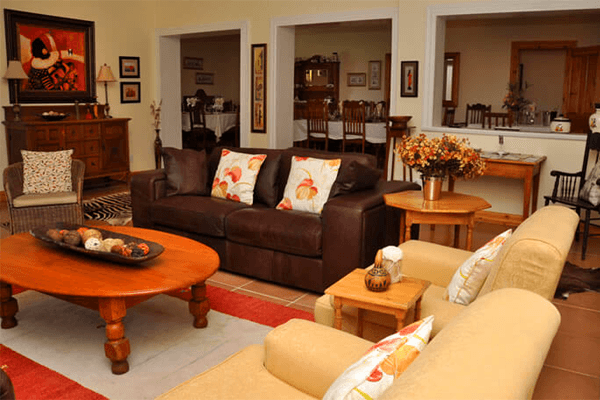 The exclusivity, privacy and comfort offered by Endalweni can all be yours to enjoy. Luxuries such as helicopter services are just a phone call away. 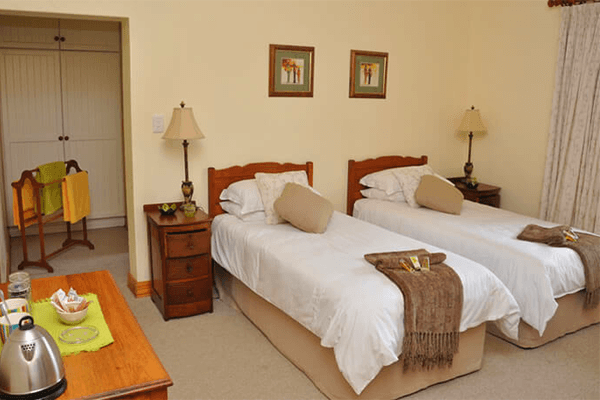 Endalweni is situated in a secure, malaria-free area 11km from Kei Mouth on the fully tarred R349 road, just 45 minutes from East London. This major city has South Africa’s only river port and boasts a modern airport. The gently undulating terrain and the magnificent gorge host an abundance of game, birdlife, and much more. Zebra, Giraffe, Nyala, Kudu, Impala, Blesbuck, Bushbuck, Duiker, Red Hartebeest, Waterbuck, Blue Wildebeest, Reedbuck, Porcupine, Bushpig, Warthog, Monkeys and a plethora of bird and plant species can all be found at Endalweni. View wildlife on the Reserve on a guided horseback tour or guided game drive. Other activities include fishing, golfing, canoeing, mountain biking, swimming, walking, river cruises and boating – all on your doorstep! 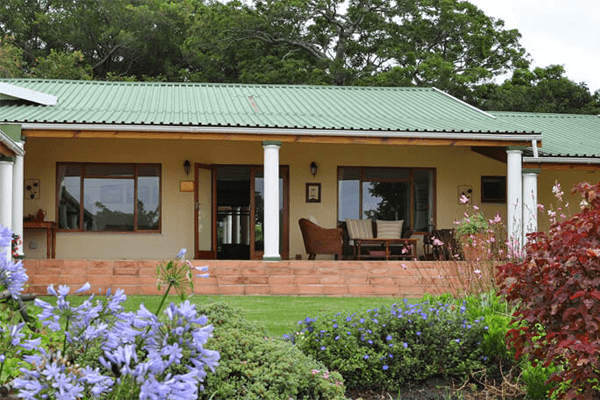 Endalweni is a few minutes’ drive from the spectacular Wild Coast beaches of Morgan Bay and Kei Mouth, which one can explore on foot or on horseback; or take the impressive ferry to cross the Kei river into the Transkei to revel in the peace and seclusion of the unspoiled white sands, scattered with shells of all kinds. Five Star visit for certain! What a stunning, peaceful place. And first class hosting.